Leander Games may have only been in existence since 2008, but the company is well known for its use of innovative themes, to create polished slots that feel like they have been created by some of the most experienced minds in the field. Click here to read more. The team at Buenos Aires-based Leander are specialists in creating slots with interesting features and bonuses, and they are renowned for their combination slots which mix slot action with other games. Examples of the these include Reely Poker, which offers a poker side-bet and card-heavy reels, and Reely Roulette, which brings all of the excitement of the wheel-spinning game to the reels. Other in-reel features include the nuclear zombie that can be found in the Zombie Rush slot, which is based on the power of the wilds to change other symbols, hugely boosting the winning potential. 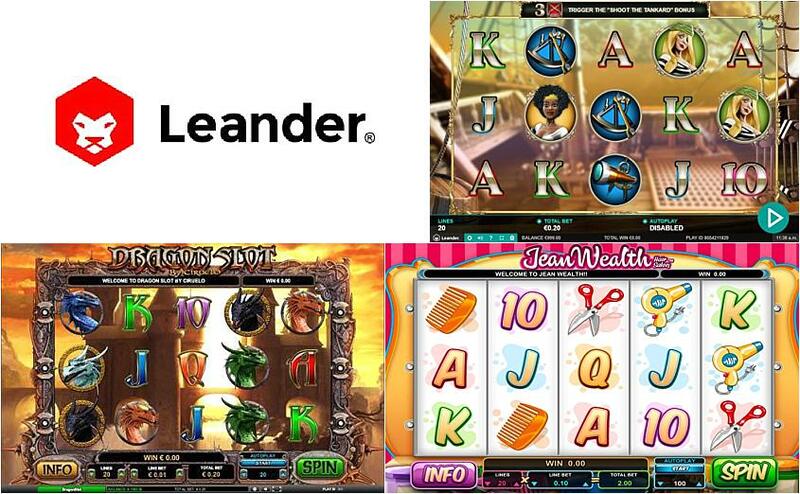 Leander offers a large variety of different games to suit slots fans of all types. Some of the most popular include Dragons, which boasts graphics created by fantasy illustrator Ciruelo and an amazing bonus game, and the aforementioned Zombie Rush, which is another beautifully-designed game with gameplay that is just as impressive. Zombie Rush boasts a progressive game of pick-em to add to the excitement, a whole heap of free spins and an interesting stacked symbol. Leander is a firm favourite amongst slot fans who like big payouts from standard play, rather than being in the market for a progressive jackpot. With some bumper feature rounds, this is what Leander does best. Leander is synonymous with variety and their celebrity-themed musical offerings are the perfect illustration of why this is so. Could you get any more unusual than a slots game inspired by Megadeth and Dolly Parton? The Dolly game is a feast of frilliness, complete with plenty of music from the country music legend. It is very light-hearted and incredibly ‘pink’. It might even be a little too sweet for some players, although the gameplay and production is pretty impressive in its own right. Megadeth is a completely different story, packed as it is with LA rockers and guitar riffs. There are features aplenty, and the game is generally another very polished performance from the Leander team. Leander Games was named as the Social Gaming Supplier of the Year in the 2013 eGR awards and was also nominated in other categories. Their work, meanwhile, is enjoyed by people from around the world, as they continue to produce titles that are equal in quality to those on offer from slots giants such as NetEnt and PlayTech. The company’s earlier titles were more basic but the development in playability and design has been rapid, creating a real force to be reckoned with in the slots sector. Leander has plenty of ‘must-try’ slots among its portfolio and it holds the promise of plenty more exciting things to come. Will we see more progressive jackpots being added, in a bid to take on the company’s biggest rivals, or will Leander stick with what the company already does best?